Everyone suffers from pain at some point in life. Pain, when you kick your toe or strain your back is normal. But persistent pain is becoming more common. For example, a ‘bad back’ is more common than ever , with growing rates even in children and teenagers. This isn’t because backpacks or the way we walk has evolved faster than our spines. It is often because patients get the wrong information about the diagnosis and best treatment for painful conditions. Many people with back pain or knee pain develop many other health problems. They are less active, may gain weight, be emotionally distressed and have more mental health problems. Many don't receive support for these things - in fact our research is showing those with pain are more likely to have chronic disease like cancer, cardiovascular disease and mental health problems, as well as early death. My research is trying to unwind this – provide people with better information and support. We develop and test strategies that aim to support patients (from kids to the elderly) with painful conditions. We are also designing new and better ways to provide information about painful conditions, so sufferers can make more informed choices about the way they manage their ailment. Coming from a physiotherapy background I hear of people getting poor advice or inaccurate information from qualified and trusted people at a time of high distress. Knowing the impact of this misinformation is what drives me in this field of work. Small things can make a big difference. I would like the community to know and understand more about common painful conditions so they can be empowered to manage these when they get them. 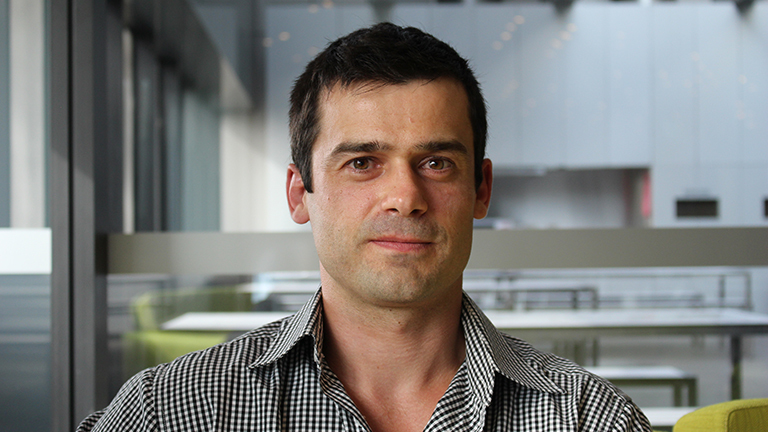 Dr Chris Williams is a physiotherapist and NHMRC Early Career Research Fellow. He also holds a Clinical Research Fellowship with the Hunter New England Local Health District and is the program lead of the Musculoskeletal Health Program, a program conducted within a practice-research partnership at the Hunter New England Population Health Research Group. After completing a Bachelor of Exercise and Sport Science, Master of Physiotherapy, and postgraduate training in biostatistics, he completed his PhD in 2013 at The George Institute for Global Health, Sydney Medical School, before returning to Newcastle. His work has included implementing a national GP training strategy for low back pain that was subsequently translated across Australia via the Royal Australian College of General Practitioners. Dr Williams work relates to the management of musculoskeletal conditions, and their interaction with chronic disease and associated health risk behaviours (such as weight gain, inactivity, poor diet, alcohol misuse and smoking). This involves pragmatic research designs, imbedded with routine health services, as well as testing setting-based implementation strategies, which aim to improve evidence-based health care. Dr Williams established a novel program to improve access to preventative care services for Hunter patients with musculoskeletal pain. Benefits include reducing the need for surgery, improving surgical outcomes, and addressing chronic disease risks inherent to this cohort. He has a growing reputation in obesity prevention, recognising the link between musculoskeletal pain, inactivity and weight gain.